Labor Day is one holiday that’s seemingly made for cigars. It may be a three-day weekend, but for cigar enthusiasts it’s far more than a three-cigar break from work. Whether heading to the beach, visiting family, or just firing up the backyard grill, Labor Day weekend is prime time for cigars. It’s also the time to bring a few extra cigars to hand out to friends. 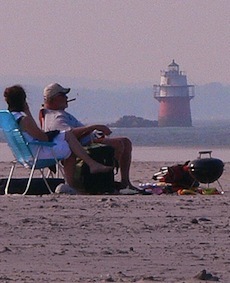 And as the unofficial end of summer, Labor Day should be celebrated as the culmination of good smoking weather. It serves as a reminder that winter isn’t too far away—a time when cigar smokers are driven indoors where smoking bans likely foil our ability enjoy premium tobacco. But barbecues, good weather, and an extra day off work aren’t the only reason why Labor Day is a great cigar holiday. Labor Day celebrates the working man, and cigars are the perfect accompaniment to such a celebration. Despite their aristocratic image, there are few things that cut across class lines like good cigars. A visit to your local cigar shop confirms that handmade cigars are enjoyed by all. At the tobacconist, you’re just as likely to see blue collar as white collar folks enjoying handmade cigars. After all, a good cigar can be had for just a few dollars—a rare affordable luxury. I’m constantly telling the story of a visit a few years back to Holt’s iconic shop in downtown Philadelphia. Smoking a cigar in their back lounge, I encountered a typical mix of cigar smokers: a local politician, a lawyer, an electrician, a retiree, a few college students. They were all talking cigars as equals. That’s the reason Labor Day is such a perfect cigar holiday. When your smoking cigars it isn’t about who you are or what you do. It’s just about the fact that you enjoy cigars, and the camaraderie of your fellow smokers. Post it to your boards, Send it to your Cigar Shops, Send it to your smoking buddies. We must stand up for our rights, as the Nanny Bloomberg Administration attempts to take more of them away. And make us second class citizens, banned from smoking in public & some of the New No Smoking apartment buildings. It seems to me that New York is trying to become the anti-smoking leader in the USA. I received yesterday and email from the New York Tobacconist Association about a meeting the New York State Senate Health Committee holding a public hearing on September 23 at 10 AM taking place 250 Broadway, 19th Fl., New York City. The Committee will meet to learn how the state’s regulation of smoking and tobacco products works to improve the health of all New Yorkers and any actions needed for continued benefits. We need every retailer to attend this meeting as well as customers and manufactures We must overwhelm them and show the legislators that enough is enough and we are not going to put up with the endless harassment, persecution, and discrimination. This prohibition by increments stops now. Failure is not an option!